One of the things I like about using Twitter is you get a great eclectic mix of stories and links to peruse and chuckle at. I think to celebrate April Fools day this year, the Campaign for Wool revived a story from a few years ago. 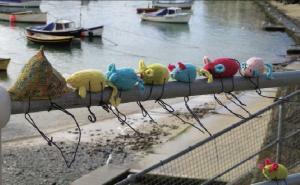 I like this story about some 'yarn bombing' that went on in Cornwall but I didn't like the title 'Graffiti Grannys'; I read the piece and then realised that the name had come from the group themselves. OK I get it that it's post-modern and subversive, counter-intutive and all that but grouping anything to do with knitting with anything implying chronologically-challenged (yeh, ok older) people takes away some of its appeal to a younger audience. It seems that this view is really ingrained in our culture. It's keeping someone in a job I suppose! 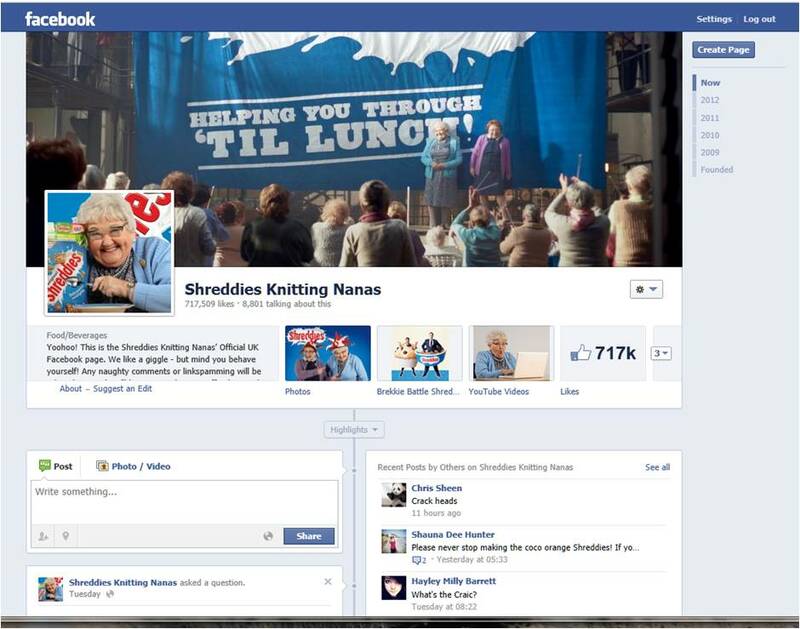 Another example that gets on my nerves is the 'nanas' that knit the Shreddies, and did you know that it has it's own Facebook page with over 700k likes!! (that's it I've gone to lie down). I know that its advertising and nothing to do with actual knitting and it's done its job because it got our attention and people are even spending time looking at the Facebook page and posting comments (it's a marketing brand triumph)...but come on give the kids who like knitting a chance, it'll never be 'swaggy' with this sort of profile! If you don't know what 'swaggy' means look it up here, I'm fighting hard for my non-granny credentials here remember! What does everyone think of the Shreddies Knitting Grannies? ﻿﻿(yeh ok, 6 votes isn't exactly an overwhelming response but who said the voice of the people had to be about big numbers? ask any politician). And look at all the really fantastic young textile artists and knitting designers who have studied the subject at colleges and univesities and are anything but grannified (is that a word?...it is now!). They are clearly very excited about the whole creative, magical process that is knitting and are not in the least grannified (there used it again). So this is an appeal to all those out there tempted to keep this outdated idea alive, SMH; please be less post-modern and more swaggy, don't just fall in line with the stereotypical view of 'knitting', you know I'm a hundo P right.